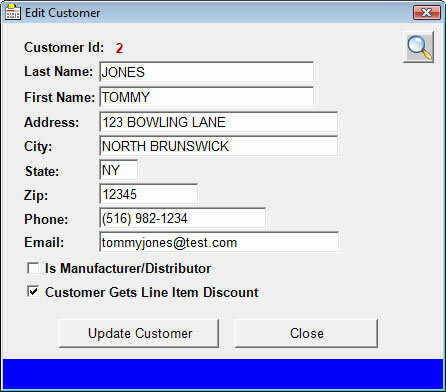 Now there is a simple point-of-sale software package for the Bowling Pro Shop along with other businesses! 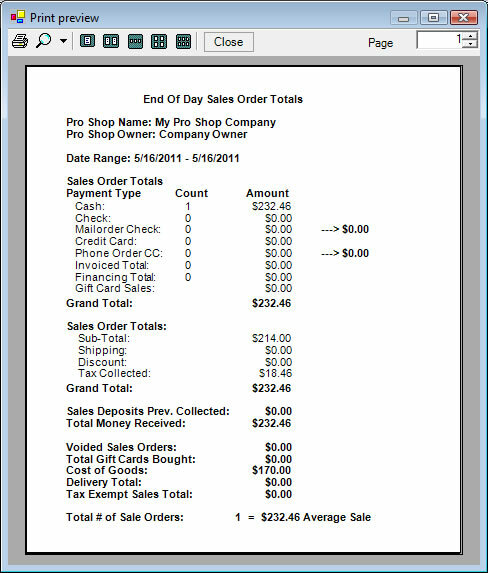 POS Pro Shop is a simple, easy to use program that works with Microsoft Windows to allow you to maintain customers, take orders, track inventory and run a variety of reports. It is designed for quick access at your fingertips using simple key strokes, the mouse or a barcode scanner. Our software is fully compatible with the latest 64-bit Windows 7, 8 and 10 technology! This screen is the main screen. 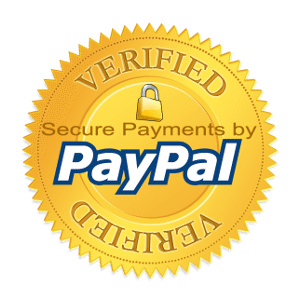 It allows you to take sales orders and navigate throughout other sections of the program. This can be done using the ease of use keyboard, mouse or using a bar code scanner. 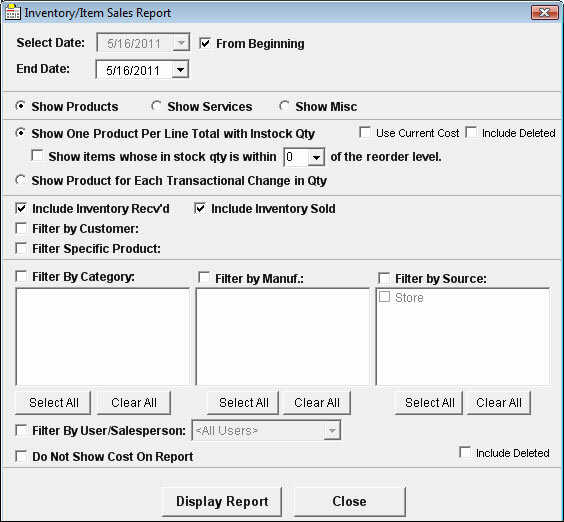 The reports section allows you to do a wide variety of reports on your sales and inventory. The screen above is mainly for tracking inventory. Which items are at the reorder level? It also shows cost and profit on sold items. 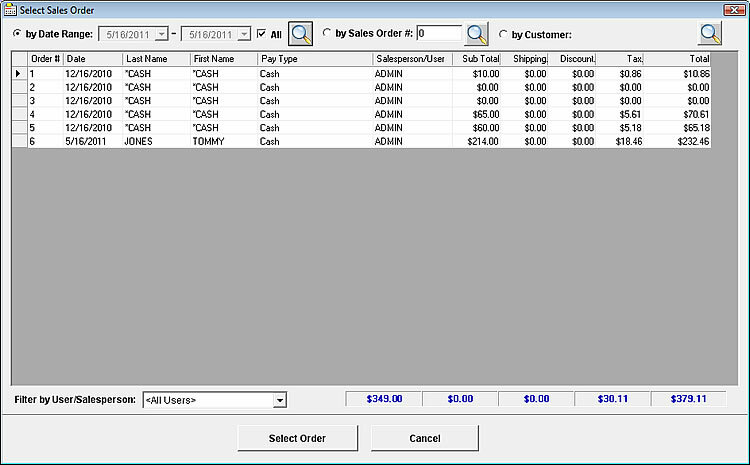 It can also group each item by totals or show each change in quantity. There is also a sales report that shows what items have been sold belonging to a specific sales order. You also have the option to filter out on certain data. 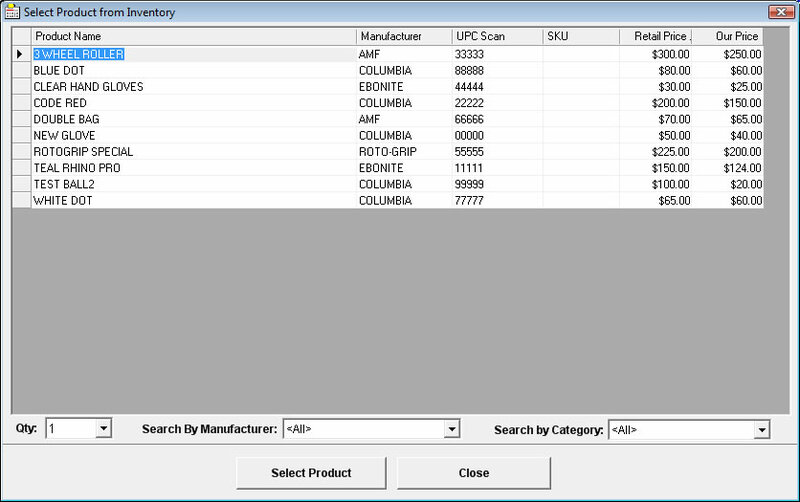 POS Pro Shop also has the ability to connect to your AKM Pro Shop customer database. That way when a customer walks in and wants a ball drilled for example, you enter his bowler and hand information in AKM Pro Shop. 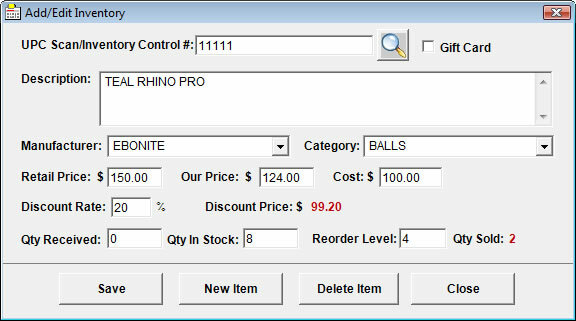 From there you can browse his name from POS Pro Shop, create a sale and print a receipt. Also keep in mind, this software, by itelf, will work in other industries as well not just the bowling pro shop industry. Just be sure to download and evaluate our demo to be sure it fits your business needs! Purchase Both POS Pro Shop and AKM Pro Shop Together! Home / Bowling Word Search / Software Development / Website Design - Copyright © ATK Solutions Inc.